This is a foreign exchange guide to China, the Chinese Yuan currency plus CNY transfers and travel tips. Chinese Yuan exchange rates - latest & historic exchange rates. What is the Chinese Yuan currency code and symbol? The three letter currency code for the Chinese Yuan is CNY and the symbol is ¥. Which countries use the Chinese Yuan? It is the domestic currency in China. The Chinese currency is actually called renminbi, but you will more frequently hear it called by the name of its primary unit, the yuan. The renminbi-yuan relationship is similar to that of Britain’s sterling-pound (sterling being the name of the currency and a pound being one unit of that currency). The ISO for renminbi, or the yuan, is CNY. An ISO of CHN denotes yuan traded in offshore markets, such as Hong Kong. According to the Bank for International Settlements’ 2016 survey of the foreign exchange market, the yuan is now the world’s eighth most traded currency and has overtaken the Mexican peso to become the world’s most traded emerging market currency. However, disappointingly, 95% of all yuan trading remains against just one other currency, the US dollar. The yuan reached its all-time low against the dollar in January 1994 when the exchange rate for USD/CNY reached 8.73. It's all-time high occurred in January 1981 when USD/CNY hit 1.53. A high point for Chinese officials in recent years came when the yuan was added to the IMF’s Special Drawing Rights basket of currencies in October 2016 and, with its inclusion, joined the dollar, euro, yen and the pound as an official world reserve currency. Importantly, China’s currency is not freely floating, which is to say that it is not determined wholly by market forces or purely by demand and supply. While market forces do play a part in China’s ‘managed float’ system, daily changes to the value of the yuan are restricted by the country’s central bank to moves of 2% above or below a midpoint, or reference rate, against the US dollar. This special rate is set each day by the central bank after consideration of the values of currencies from China’s main trading partners. The interactive chart below shows the USD to CNY exchange rate for the previous 3 months with rate alerts for days when the exchange rate moved up or down significantly or for 30 day highs and lows. China's international visitors have rocketed to an impressive 26 million in 2015. It is said that in less than 10 years, the country will become the first tourist destination with the world's largest number of visitors. Can I use a Credit Card in China? Credit cards are still not accepted in many places so it will be convenient to carry a travel card or cash with you. If you're thinking of only visiting the larger cities such as Shanghai, Beijing, Guangzhou, Tianjin or Chengdu, you'll find no real problems in using a credit card in China. If you plan on travelling outside of the big cities, however, you'll have trouble finding ATMs and businesses that accept credit cards. As general rule the Chinese do not like the idea of debt and so tend to avoid using or accepting credit cards. Even in the big cities it can still be unreliable to depend on using credit cards depending on which area you are in. The highest denomination (100 yuan) does not carry a huge amount of value so if you intend to make large purchases you may be carrying a conspicuous wad of cash around with you. In only recent years, more and more banks around China have made this possible to the extent it is becoming standard. Beware of people on the street side who offer services of money exchange. There has lately been a growing rate of ATM scam, where certain characters set up fake ATMs to scam credit card details. Just try to avoid any ATM that looks suspicious, or use the ATMs at major banks. There is also counterfeit money circulating in China, these are almost always smaller notes so try not to break up your larger notes all the time. Also be sure to notify your bank that you will be using your card in China so that they do not block your card suspecting fraud. How do I get around in China? China’s domestic air market is growing rapidly, with more than 180 commercial airports. At least nine new airlines, a few of them focus on low-cost routes, have been approved for operation since the government lifted restrictions on privately invested airlines in 2013. Together with the more established domestic carriers such as Shanghai Airlines, Tianjin Airlines (part of China Eastern), Xiamen Airlines and Dragonair, these new startups provide a vast network of flight services to smaller domestic destinations that previously could be reached only by train or bus. Flying in China is very much smog/weather dependent. Delays and cancellations are commonplace due to serious air pollution that affects pilots’ visibility during take-off and landing. Traveling by high-speed rail (HSR) is a much more reliable alternative. The train network in China is one of the most extensive in the world, as it combines older, slower trains that stop at smaller towns with the D-class trains that run up to 124 mph, and also the ultra-modern, high-speed G-class trains (HSR, or gao tie in Chinese) that connect bigger cities at speeds up to nearly 200 mph. Advance bookings are recommended, especially for sleeper classes. Travel by HSR in China is fast, punctual, comfortable and clean. If you have plenty of time and a limited travel budget, long-distance buses are a good option. They are cheaper than flights and high-speed trains, and tickets are easier to secure however they can take two to three times as long as the high speed trains. Bus service networks also cover many smaller towns and villages that cannot be reached by train. If travelling to China be sure to check when the local holidays are as everyone in China tends to holidays at once. So 590 million people take to public transport during peak local holidays known as Golden Weeks, which fall over Chinese New Year and National Day in early October. This makes it almost impossible to casually get a train or hotel room, or to see the sights. Save money and time by Ordering your Chinese Yuan online from Travelex, you get better rates and can pick up the CNY cash locally or even on travel day at the airport. For card purchases if offered a choice of currencies always select to Pay in Chinese Yuan otherwise you may get much worst exchange rates. Compare CNY travel cash rates - probably why you are here! When searching around for information on how to get a good exchange rate when sending money to China you need to start with finding out the latest Chinese Yuan foreign-transfer exchange rate. Have Shanghai property prices peaked? Shanghai property prices have risen roughly sevenfold over the past decade but being a global city with broad-based demand from occupants and investors, an outright crash is unlikely. Still, today's buyers have probably missed the golden age of price appreciation. Can foreigners buy property in Shanghai? Foreigners who have lived and worked legally in Shanghai for one year are allowed to buy for self-occupancy. They are not officially permitted to rent out their flats. Mortgages from local banks are available to foreign buyers, typically with a downpayment of 30 per cent. What is the most popular property in Shanghai? 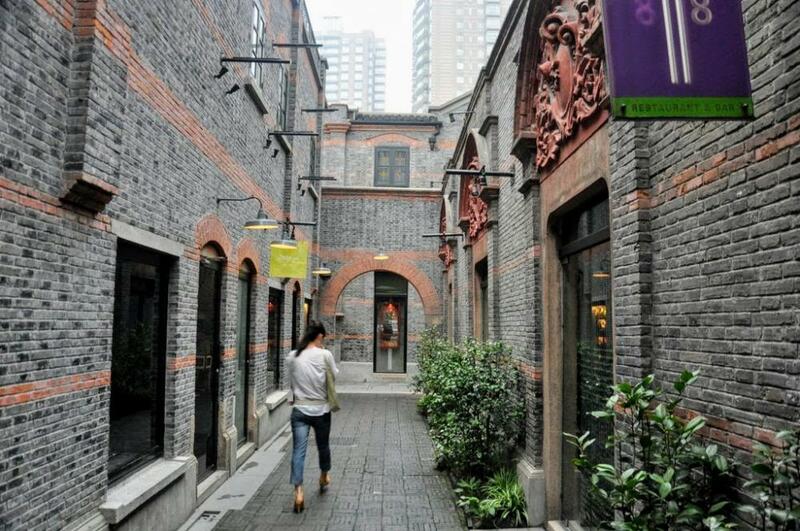 European-style alleyway (longtang) homes in the former French concession (French: Concession française de Changhaï; Chinese: 上海法租界; pinyin: Shànghǎi Fǎ Zūjiè; Shanghainese: Zaonhe Fah Tsuka) are charming but heating, plumbing and electricity infrastructure is often dilapidated. 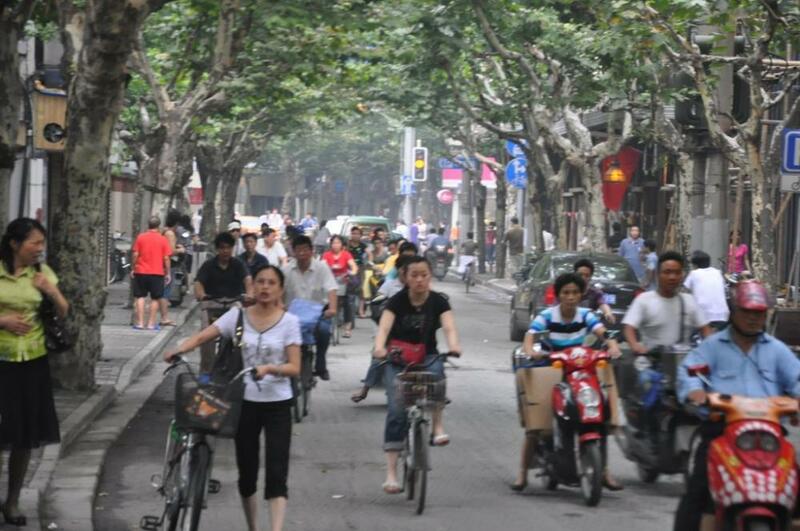 A longtang (弄堂 lòngtáng, Shanghainese: longdang) is a lane in Shanghai and, by extension, a community centred on a lane or several interconnected lanes. Once your funds are received by the provider the converted CNY amount will be transfered to the recipient account you specify in China. Use our Send to CNY calculator to compare the exchange rates of FX specialist providers rates versus your bank's standard rates you can hopefully save around 5% and maybe more - end result is more Chinese Yuan deposited into the recipient bank account and less margins and fees kept by the banks!